Today I’d like to talk about a polish that could probably win my ‘Most Surprising Polish’ award, if such a thing existed. 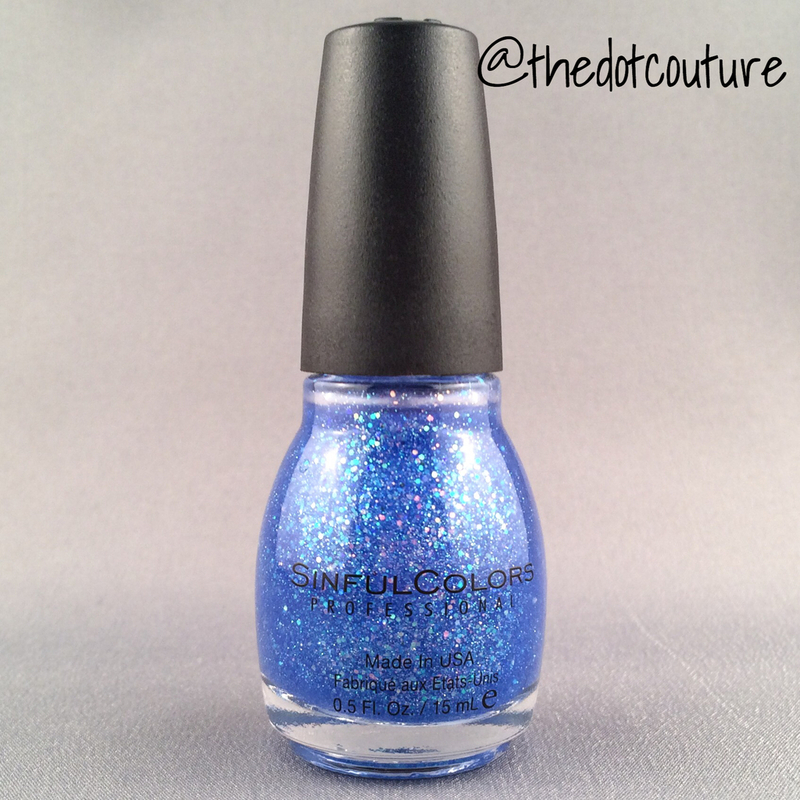 Sinful Colors Hottie is a sheer blue jelly polish packed with various-sized iridescent glitters. I bought it on clearance at Target Canada (RIP) right after Christmas 2013. I’m ashamed to say it’s sat unused in my Helmer since then. That is until today. And what I found was a true hidden treasure. 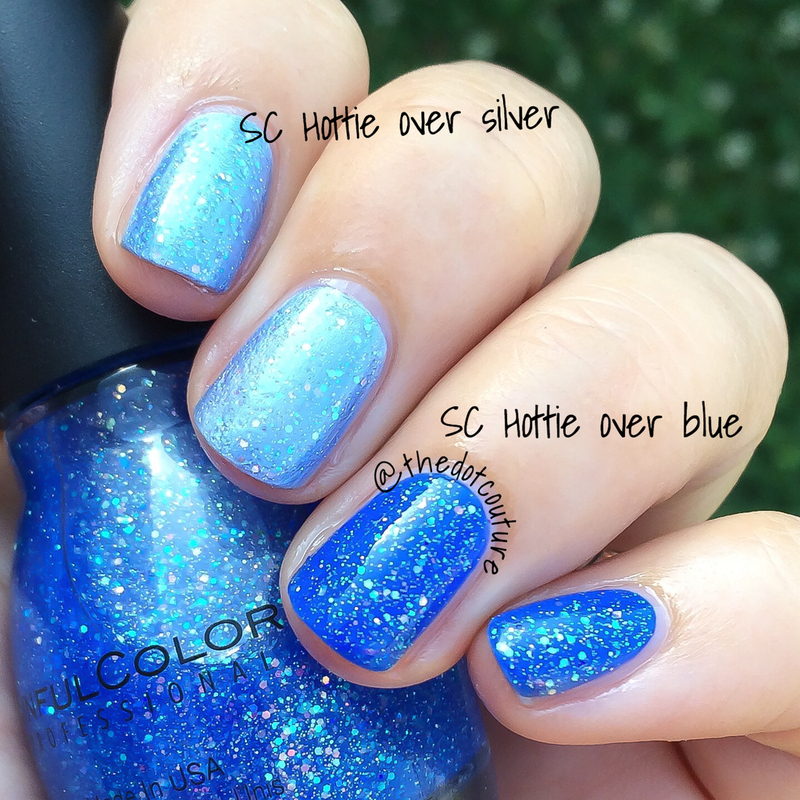 I’m not the biggest blue fan in the world, and the swatches and reviews I’d read showed an incredibly sheer polish with lots of pretty glitter, which is probably why it sat unused for so long. The blue jelly base is really apparent over white. 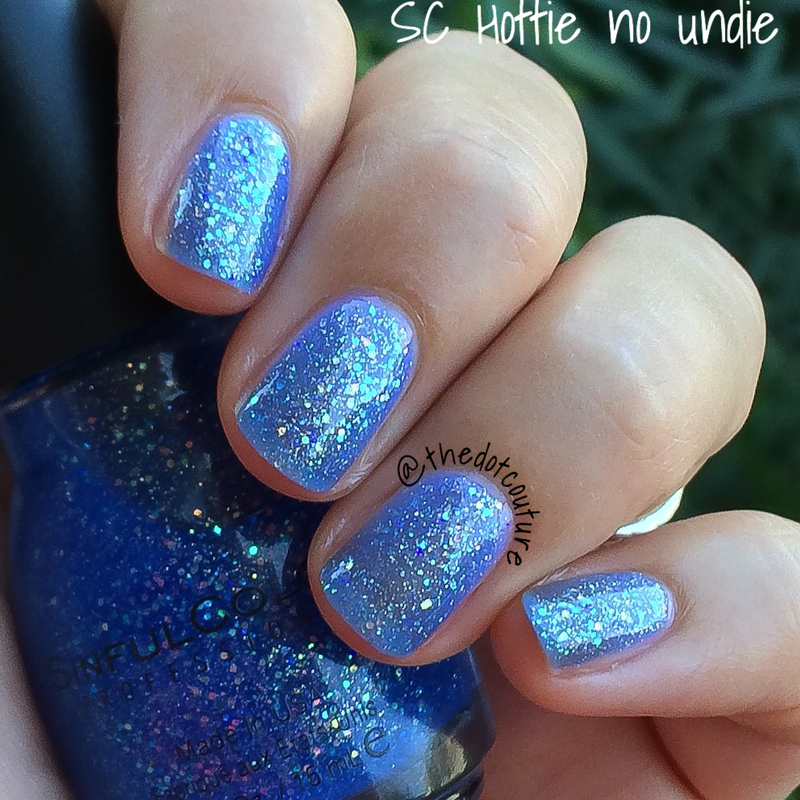 It’s very pretty and delicate, sort of like a glittery version of Sinful Colors Cinderella. You can see Casablanca topped with Hottie on my index and middle fingers, and Endless Blue topped with Hottie on my ring and pinkie fingers. The blue jelly base pretty much disappeared into the silver. It was very nice, I could see it as a base for some winter nail art or even as a New Year’s Eve manicure. I loved it over Endless Blue, it was totally eye-catching and it only deepened and intensified the already gorgeous base colour. I mean really. I can’t even tell you how gorgeous this is in person. The blue jelly base completely disappears and you’re left with this gorgeous mix of coppery/green/blue shifting iridescent micro and hex glitters. 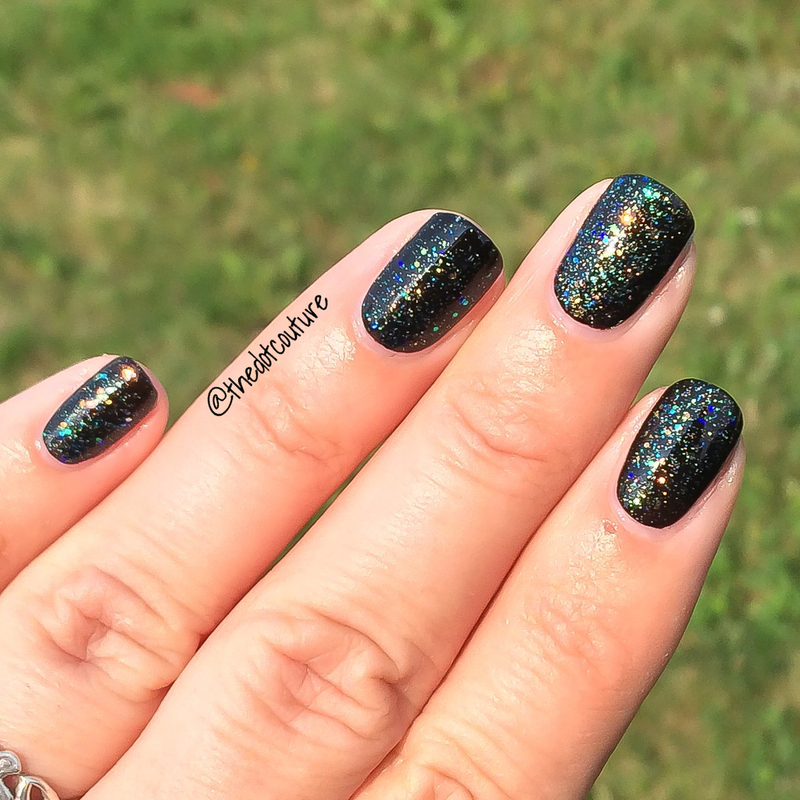 Every polish should be this amazing. I couldn’t stop looking at my nails. I can see so much versatility in this polish now – over navy blue, dark green, deep vampy red. Matted. Not matted. Oh the possibilities!! So there you have it!!! 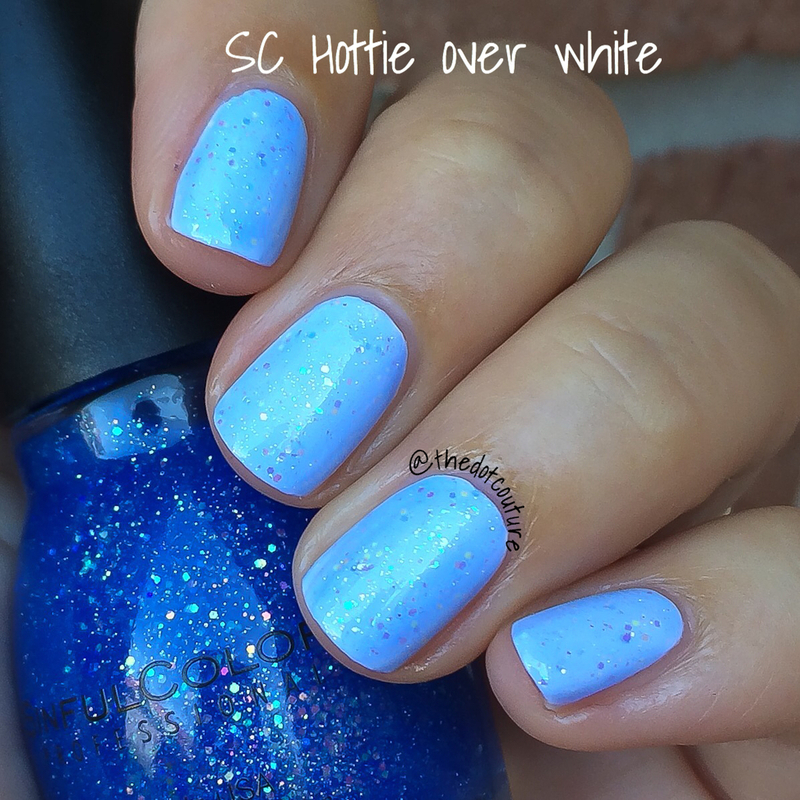 Sinful Colors Hottie = beautiful polish. 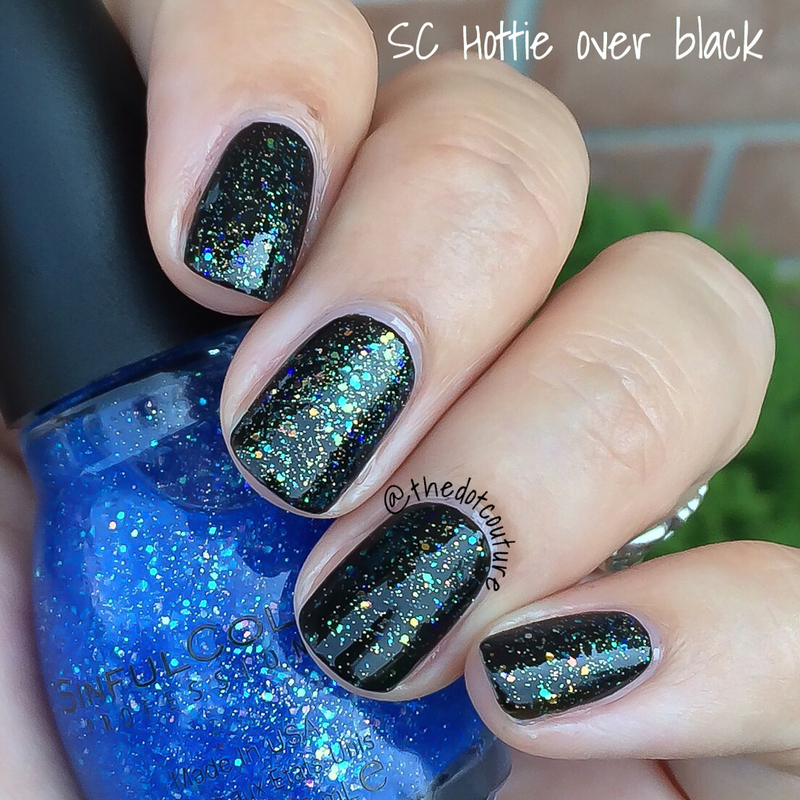 Sinful Colors Hottie over black = a true hidden treasure!!!! You can buy this polish at many many retailers in the US (lucky!!!) including Target, Walgreens, and Walmart. In Canada we aren’t quite as lucky, especially with Target withdrawing out of Canada. It’s carried in some Jean Coutou/Rexall PharmaPlus/London Drugs, but selection isn’t great and they are only available in certain parts of the country. Your best bet would be Dollarama. You read that right! For some time now Sinful Colors polishes have been popping up at Dollaramas for the awesome price of $1.50 CAD plus tax. The best part is we’ve gotten a lot of older limited edition polishes that are no longer available. I really hope this is a continuing trend and I would love to see the full collections (including all of their limited releases) available at a store like Walmart here in Canada! 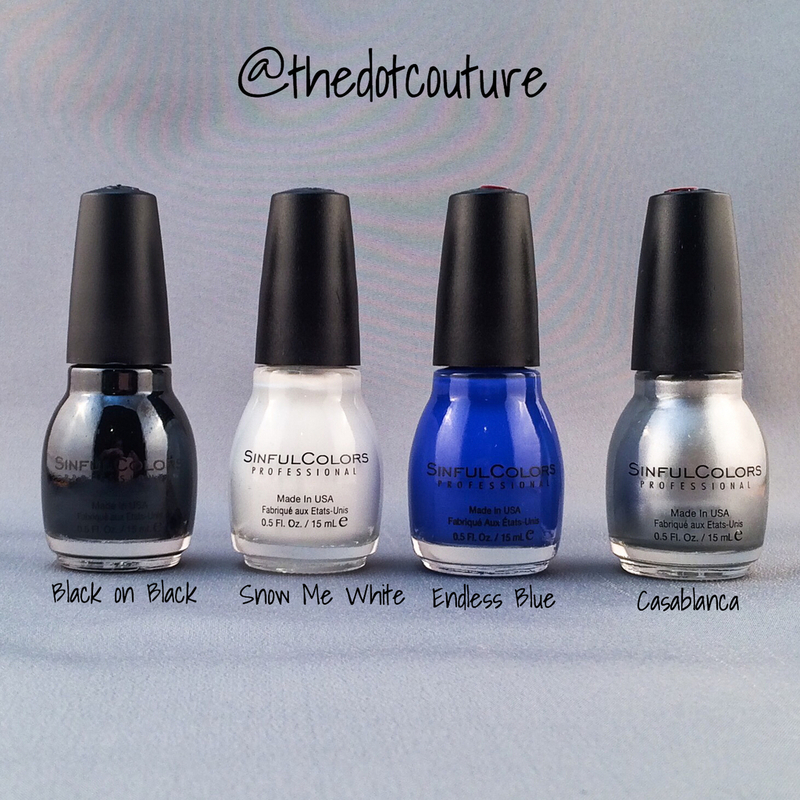 Remember to visit me on Twitter: @thedotcouture and Instagram: @thedotcouture. Until next time, happy painting!! First of all, you are making me want to take off what’s on my nails and put on this combo right now!! Second, I just found your Instagram, then your blog, and I have to say, you just gained a loyal follower! Your manicures, nails, and pictures are stunning, and I can’t wait to look at your blog posts!